Have you ever tried a cleansing balm? I *love* them and have been a fan for years--I even make my own. It sounds exactly like you think--a thick balm that melts once it makes contact with the skin and liquifies. It reminds me a little of vaseline but in a firmer consistency, like a salve. It's also called a Hot Cloth Cleansing Balm because many come with a cloth that you wet with hot water and place on the face to remove the makeup once the balm has been rubbed in. While it's usable for all skin types, dry and normal will really love it. If you wear a lot of makeup, you'll love it. It does not leave the skin oily or with residue. I think of it as a mini spa treatment as well. Off and on the past couple of years, I've tested 10 cleansing balms (actually more) and am finally ready to share them with you! I am rating these 0-10, and tested them against all types of makeup, especially liquid lipsticks and waterproof mascaras. Korean--referred to as a "sherbert cleanser"
I bought one but then I also received one as a sample. Comes with AMAZING thick cloth. The other cloths are usually muslin. This was the one that was the highest-recommended by others. One of my faves, and similar to the EH one. Technically just for eyes, but I have used it on my face in a pinch--just wanted to show an option for those who just do eye makeup. Has a rougher texture, almost like tiny beads that instantly dissolve. Based on the prices for most of these, cleansing balms can definitely be a luxury item, but I love using them. I know some of you will suggest coconut oil. This is kind of similar in texture and purpose, but coconut oil leaves the skin oily/moisturized, like you can tell you have product on afterwards. Cleansing balms leave you with soft, clean skin. Plus, none of these have ever broken me out, and coconut oil breaks out my skin every time it's on my face. I also reviewed a cleansing balm from ELF back in January and thought it was ok. Thanks everyone who read this post yesterday!! Your support has been amazing! 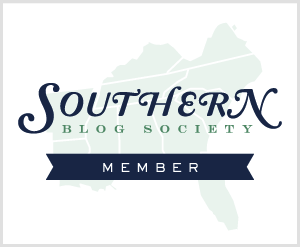 Big news: I'm going to be a speaker for the Social Media Panel for the General Assembly next week in Atlanta. It's free if you'd like to go. Let me know and I'll give you all the details. This is such a great post Elle! I've never tried a cleansing balm, but have definitely been interested since I was such a big fan of a cleansing oil in the past. I've had my eye on the Clinique balm, but have heard good things about the IT cosmetics one recently too! 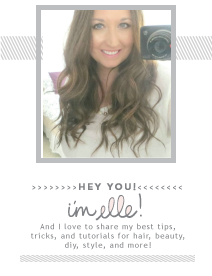 This is a great round up of cleansing balms, Elle! I'm so excited to try the IT Bye Bye Makeup. I'm loving all of their products! Congrats on speaking on the social media panel. So exciting! Sounds like an awesome product! I have such dry skin so this would be great! And congrats on being a speaker for the social media panel for the general assembly! That's awesome, girl! who knew?! a little spa treatment is just the ticket. i have almost bought that clinique one many times but now i think i may just snag it. great reviews! I am obsessed with Bye Bye Makeup. It takes all of my mascara off! Congrats on being a speaker, you'll do great! I adore the Emma Hardie one, I have the clinique for now but it isn't my favourite one. I've never heard a cleansing balm. How cool! I just tried my friend's take the day off when I was house sitting for her last weekend and was so impressed! It really did what it said and left no residue! Good luck with the speaking gig! I am totally intrigued by this trend. Do you reco for oily skin? 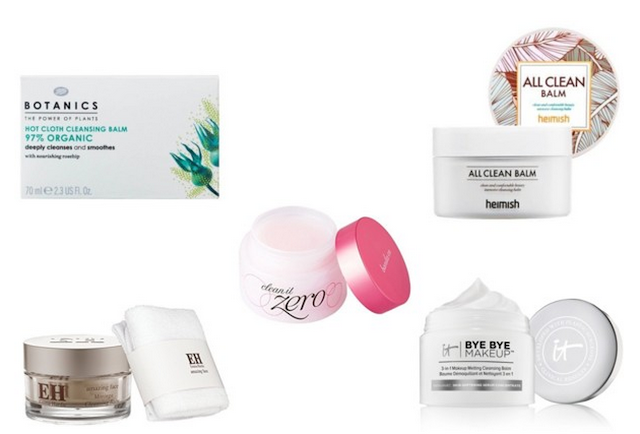 i have never tried a cleansing balm, i will check out the heimish one as you gave it a 10 and the price isn't bad at all. i have never tried coconut oil on my face because i can't get the stupid stuff out of the jar lol. I've never tried a cleansing balm! Sounds awesome though! Some of the prices are a little steep but might have to check out the hemish one! I haven't tried a cleansing balm yet, but you are making me want to!!! Congrats on the Social Media Panel!! That is awesome, if I were in Atlanta and not having to work I would totally come. Know I am there in spirit! I love the name of Clinique - "Take the Day Off" :) clever. I've never even heard of these but they sound glorious . . . and yay for you on the Social Media Panel! Rock on! 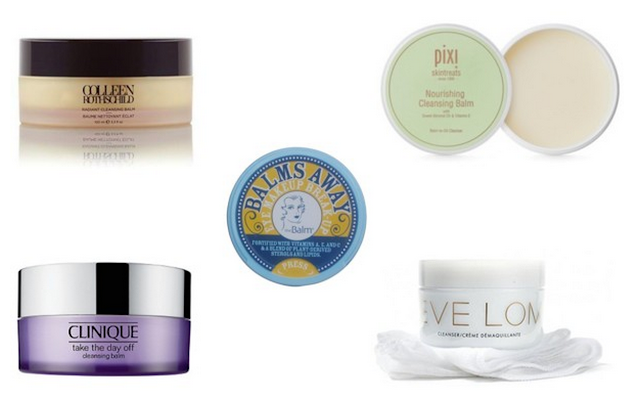 I've never used a cleansing balm, mainly because I try my hardest to avoid jar products. lol It's just a personal thing, but they gross me out. The few jar things I do own, I use a clean spoon to scoop the product out. I'm a weirdo. 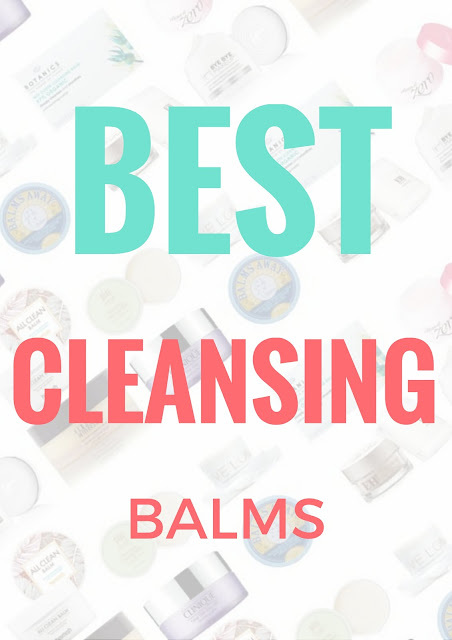 I've never heard of cleansing balms, but they sound awesome! I'll have to look into some of your higher rated ones! I've actually never used a cleansing balm before! I have used coconut oil for removing makeup, but I didn't like doing that. I do use it everynight though, crazy it breaks your face out! I love Cleansing balms. My favorite is the Clinique one, but the Emma Hardie one is a close second. I don't like Eve Lom because it contains mineral oil and just received the Pixi one to test. Congrats on being chosen to speak at the conference!! Go you!! 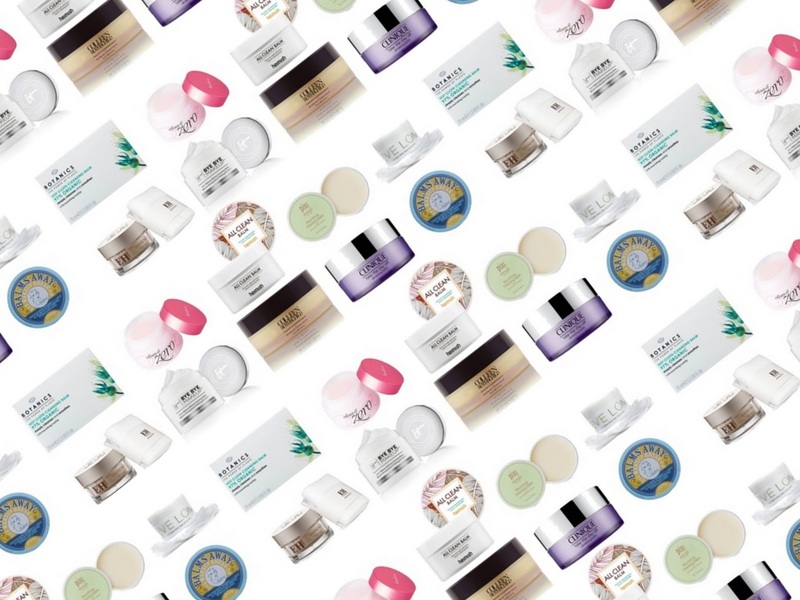 I have never, ever tried a cleansing balm. I should really check one of these out. I love Pixi and It products, so maybe I'll start there. I have seen that Clinique one in the counter! Banila All Clean Zero is a old time fave of mine. I just got the Heimish one and I'm curious to see how it will compare. Congratulations Elle! I can't believe I've never heard of cleansing balms! Thank you for this thorough rundown! Congrats on being chosen as a speaker for the Social Media Panel! I've been really wanting to try a cleansing balm, so this is great! I had a small sample of the Clinique one and really liked it! I've never tried one of these, but I've heard great things about the one from it cosmetics! Oh wow no I have not heard of cleansing balms, they seem like they would be great for winter. I am going to look in these when the weather turns cold. I wish I was in Atlanta to hear you speak! You go girl! I think I need to try one of these when my cleanser is out. They sound awesome! Good luck on the panel - I'm sure you'll rock!! I've never even heard of cleansing balms...! Love learning about new things from you! What a great list, Elle! I have never tried cleansing balm before but I have read really amazing reviews for the Clinique one and that's already in my list to try. I haven't tried cleansing balms but they definitely interest me. I would like to try a sample of one before buying to see if I like it first. I have Clinque and love it. I would be interested in trying out the other ones! Congrats on being a speaker on the Social Media Panel, that is awesome! I've never heard of a cleansing balm, but the idea (especially with the hot towel) sounds SO comforting. I've been wanting to try cleansing balms, but a lot of the good ones seem to be expensive. Not that that has ever stopped me before! lol Thanks for reviewing all of these!